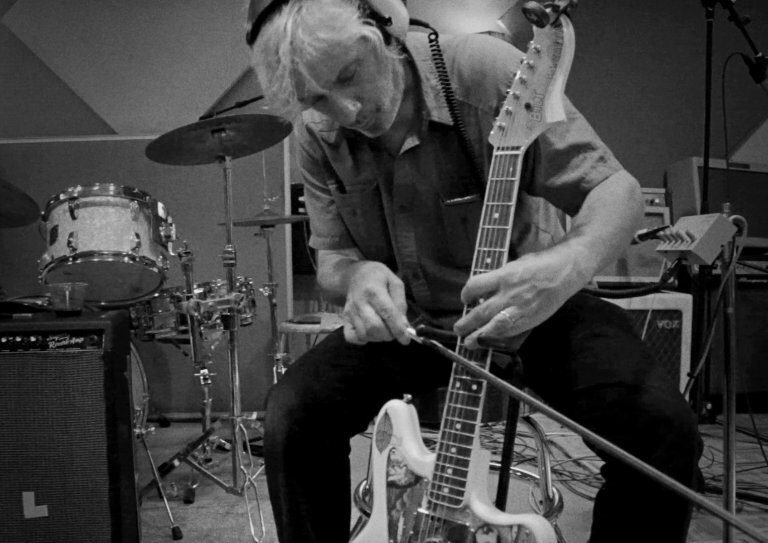 Filmed during dozens of recording sessions, Hello Hello Hello is a story of the creative process - Lee Ranaldo (Sonic Youth) collaborating with producer Raül Refree, over a year and 3,842 miles with a little help from their friends. Novelist Jonathan Lethem (Motherless Brooklyn, The Fortress of Solitude) plays writer/lyricist/muse to Ranaldo's artist/composer wanderings, across soundscapes created alongside friends and musical guest artists including Nels Cline (Wilco), Sharon Van Etten, Alan Licht, Kid Millions (Oneida), and Steve Shelley (Sonic Youth). Theirs is an unusually intimate and personal process in the creation of Ranaldo's album, Electric Trim (Mute, 2017), a bold, new sound and a lush and striking departure from Ranaldo's signature work.